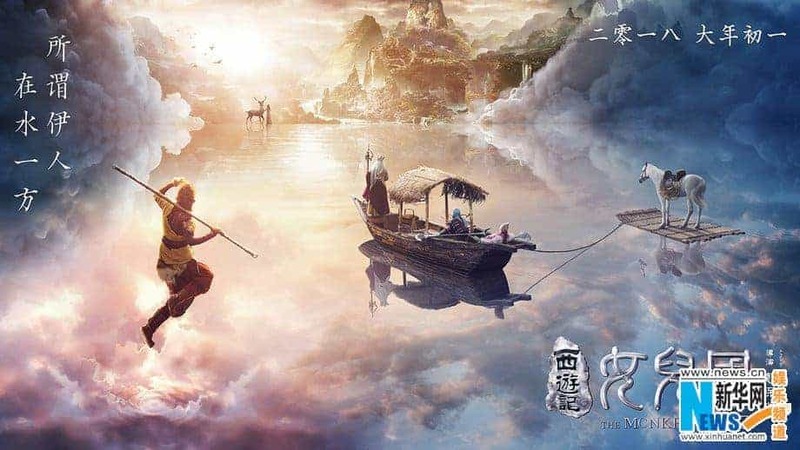 As the previous two Monkey King 1 and Monkey King 2 films grossed more than 1 billion yuan (US$150 million) each at the box office during the prime Spring Festival season in 2014 and 2016, many are looking forward to the third instalment of the franchise, which will be released February 2018. Based on the 16th-century Chinese fantasy classic, “Journey to the West”, Monkey King 3: Kingdom Of Women‘s story will revolve around a kingdom that is populated solely by women. When the monk Tang Sanzang, who is on a quest from China to India with his three companions to collect Buddhist sutras, drop by the kingdom, the ruler falls in love with him. The star-studded cast includes Aaron Kwok, Feng Shaofeng, Zhao Liying, Xiao Shenyang, Him Law, Lin Chi-ling, Kingdom Yuen, Pan Binlong, and more. Due to hundreds of pretty faces in this third edition, the movie has earned the title of “the film with the most beautiful actresses“. Directed by Cheang Pou-soi and produced by Filmko Entertainment in collaboration with dozens of other investors, the title will have a huge budget of over 500 million yuan ($76.7 million). The big budget has paid for a 1,000-strong contingent of cast and crew to shoot scenes in four provinces across China, along with massive outdoor sets covering 80,000 square meters and eleven indoor sets. Fans can now expect to be riveted by non-computer-generated images. Below is the behind the scenes of the movie. The movie wrapped up filming in April and is going through post-production work.